Photo - If you haven't got you sailing booked yet, there's another chance on Monday! If you haven't got you sailing booked yet, there's another chance on Monday! 2019 sees the 100th year of racing at the Isle of Man TT (If you take two World Wars and the Foot and Mouth epidemic of 2001 into account). It's great to see other events paying tribute to a Century of racing on the World's toughest roads Course. Don't miss out on this exclusive package to the Isle of Man TT starting from only £265 per person for a 4 night stay. Important information from the Isle of Man Police for anyone who has booked accommodation via Evolution Camping for TT 2019. Please share. If you are affected by this and require alternative accommodation IOMTT Travel will be happy to help. Lee Johnston's got a new ride! Or two, in fact. He's riding for the new Ashcourt Racing Team out of his adopted hometown of Hull, East Yorkshire. Having secured backing from the Ashcourt Group - a Construction, Civil Engineering & Housing supplier - Johnston has the use of a BMW S1000RR for the Superbike and Superstock races and a Yamaha YZF-R6 for the Supersport events, all decorated in the Ashcourt Racing Team colours. Can you help us identify the year and rider? We've been sent some great pictures taken by a man called Eric Smethurst who later emigrated to Australia. This shot looks like early 1960s. We have an idea who we think it might be but we'd like to see what you think. There's loads of new official Isle of Man TT clothing on our webshop right now. Check it out and get your order in before they sell out! 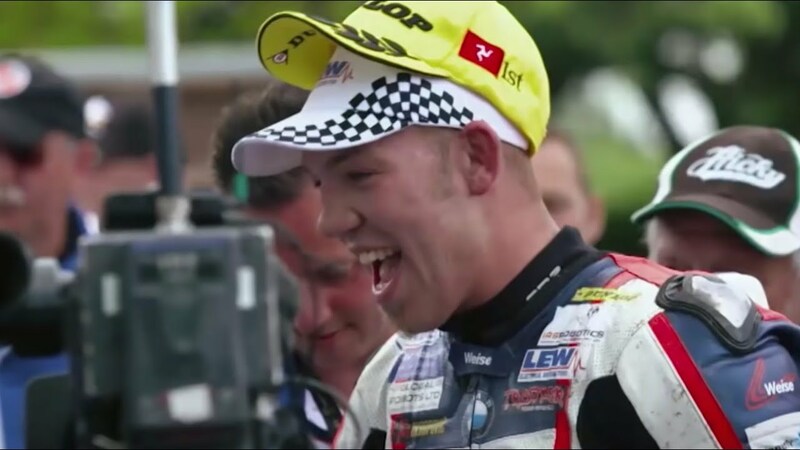 Video - There's just 94 days to go until this year's TT races! There's just 94 days to go until this year's TT races! Here's a clip from TT '94 when Joey Dunlop again rewrote the history books with a start to finish victory in the Ultra Lightweight race, taking his total wins to sixteen. Photo - Isn't this one of the most epic TT photos? Isn't this one of the most epic TT photos? Great to see Wilcock Consulting Racing backing Manxman Michael Evans. There's obviously something about the Wilcock Consulting bikes because Dan Stewart liked to get big air at Ballaugh too! Are you going to be on the Isle of Man for the opening weekend of practice at TT 2019? Make sure you get down to Castletown to see the Pre-TT Classic Races, they're always epic. Did you know you don't have to bring your motorbike to the TT to enjoy riding the course? Our partners offer bike hire to take the stress out of trying to book a ferry crossing in time. Simply arrive and ride! 100 Days to go - and still time to book for an epic Isle of Man TT 2019! Although the usual rush for bookings in May 2018 led to very limited spaces on the most popular sailings, fans who want to see Michael Dunlop, Dean Harrison and Peter Hickman in action and also enjoy riding the course on their pride and joy can still do so. Set your volume to the max for this awesome #throwbackthursday clip from Honda’s 30th Anniversary at the TT races. They celebrated with a Honda Six 250cc parade lap of the course with three time TT winner Luigi Taveri riding....What a noise!! Set your volume to the max for this awesome #throwbackthursday clip from 1989 and Honda’s 30th Anniversary at the TT races. They celebrated with a Honda Six 250cc parade lap of the course with three time TT winner Luigi Taveri riding....What a noise!! Check out TT legend Steve "Flying Haggis" Hislop popping the front wheel of his Honda RC30 in style over Ago's Leap during his epic ride in the 1989 F1 Race! Hislop smashed the 120mph barrier from a standing start and on the second lap established a new lap record at just 18 minutes 39.4 seconds. Photo - Congratulations to Peter Keys, winner of the TT 2019 competition from Duke Travel! Congratulations to Peter Keys, winner of the TT 2019 competition from Duke Travel! Getting a lot of love for the new official Isle of Man TT 2019 clothing range. Have you checked them out? #ThrowbackThursday to Carl Fogarty (Official) on a mission at the 1989 Tour of Mann as he battled on and off road against fellow TT stars like Nick Jefferies, Steve Hislop, Mark Farmer, Ian Simpson and Mick Grant. #ThrowbackThursday to the 1989 Tour of Mann when eventual winner Carl Fogarty (Official) pitched himself against a host of other TT stars including Steve Hislop, Nick Jefferies, Mick Grant and Mark Farmer as they tackled a series of epic special tests on and off road! Imagine if the event existed now and we got the current crop of TT riders to go head to head....Who would be king of the manx jungle and the roads? Check your inbox! The winner of the TT 2019 holiday competition run by Duke Travel has been drawn. You could be the lucky one from the over 18,000 correct answers received! More of this please! Top work from the Liverpool boys in blue. Good advice for anyone visiting TT 2019 too. Photo - Still time to enter this competition to win a trip to the 2019 Isle of Man TT. Still time to enter this competition to win a trip to the 2019 Isle of Man TT. A different 'TT' altogether for Conor Cummins this weekend. It's all part of the training, right? This should really be classified as Classic TT! Awesome pic of James Hillier and Niall Mackenzie at the Ramsey Sprint. TT hasn't changed that much, still a good chance of bumping into a legend around the Course or out and about at the events. Michael Dunlop on a Supersport mission. Three wins at TT 2018, including Supersport Race 1, and a total of eighteen overall. What will 2019 bring for "Maverick" Michael? Re-signing with the TYCO BMW team Michael Dunlop is looking to add to his 18 wins at the Isle of Man TT Races. Michael's three wins at TT 2018 put him on an overall score of 18 victories, making him the third most successful rider of all time. Tyco BMW have confirmed the 29-year old will be onboard new machinery as the team fields the brand new BMW S1000RR. Photo - Happy birthday Dean Harrison! Be quick if you want to be watching the Superbike TT Race, just one of these superb packages available! ️️Stay right in the heart of the action for the thrilling practice week at TT 2019 with this excellent package from IOMTT Travel! Well, the Isle of Man TT certainly made a mark with the predominantly car crowd at Autosport International Show. Loads of interest, especially in the sidecar! Thanks to John Holden and Fiona Baker-Holden for bringing it along and talking to so many potential fans! 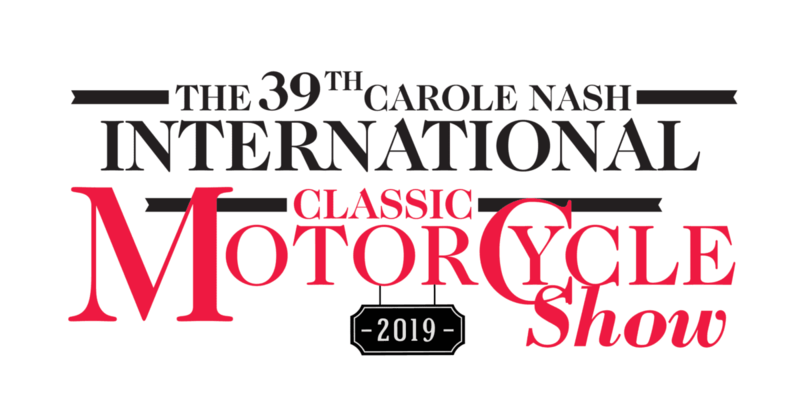 Who is coming to the 2019 Isle of Man TT Launch Show? If you fancy a night of bikes and beer at the Villa Marina, IOMTT Travel can do you a good deal on boats and hotels. Likely to feature in the line-up will be Dean Harrison, Peter Hickman, John McGuinness, Ian Hutchinson and Manx stalwart Conor Cummins. Throwback Thursday to an epic 250cc Junior Isle of Man TT Race from 1991 when Robert Dunlop, who was riding with an injured collarbone, secured his second win of the week after victory in the 125cc Ultra Lightweight Race. He was pushed all the way by Phillip McCallen but held on to complete his TT double by 5.8 seconds, with Steve Hazlett third, Ian Newton fourth, Joey Dunlop fifth and Dave Leach sixth. Watch to the end for the slo-mo replay - Bruce probably needed a fresh pair of Calvins after this one. Fair play to him though, full gas all the way! Time for another spectator poll. In an ideal world would you watch the races at Governor's Brisge or Ramsey? Photo - Ho, ho, ho! Wish Santa would leave you a motorbike? Ho, ho, ho! Wish Santa would leave you a motorbike? Great news for TT fans who also enjoy a pint*: Bushy's TT Village is coming back even better for TT 2019 with an exciting tie up with Revel! Did you go in 2018? It was hot, happy and very, very good fun! Can't wait for a pint. *not at the same time obv: bikes parked before the beers start. Cronk-y-voddy (yeah, we know the pic is from Lambfell but it was the closest we could find in our archive!) or Guthrie's?